Networking is a great tool that can help you further your career or land a job in the United States, and Oklahoma City offers so many great networking opportunities that will keep you moving forward in your career path. Networking is creating relationships and contacts on a professional level with people who can provide career advice, business opportunities, friendships, and education in your field of interest. Networking can be one-on-one meetings or organized group events. It’s all about getting to know people who can help to further your career. Think of it as two like-minded professionals “talking shop” to figure out how each one might be able to help the other. 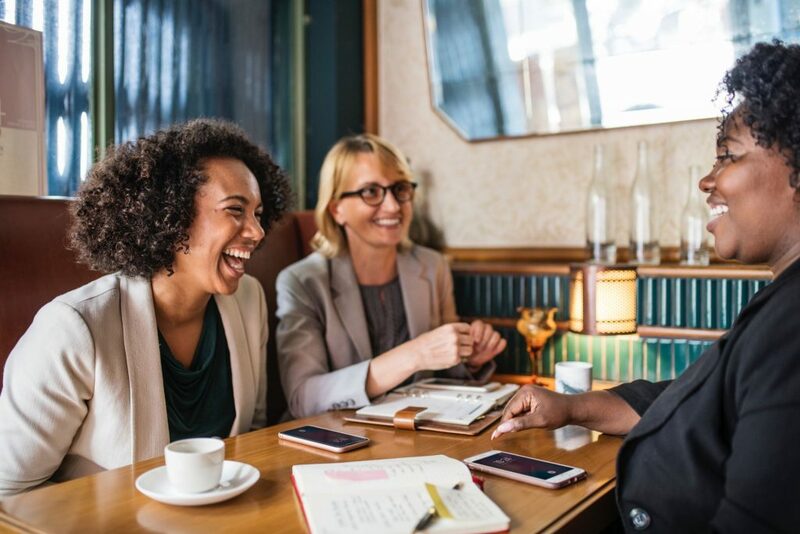 Networking events are typically informal, with a group of professionals looking to create mutually beneficial connections. Networking allows you to build key relationships with industry professionals who can offer mentoring and advice or help you find a job with a company that may be willing to sponsor you. If you are new to the United States and Oklahoma, the relationships you create through networking can also help you integrate into the business community and Oklahoma City successfully. This article will discuss the benefits of getting involved in networking as an international professional and how to effectively use your time while you’re networking. You have a great résumé and excellent references, but you’re still having trouble landing a job with a company willing to sponsor you. Or maybe you already have a job you love, but you want to further your skills and continue to prove your value. If this sounds like you, then networking is the next step in your career journey. If you’re currently looking for employment, building relationships with people who work in your target industry or desired company is a great way to land your dream job. For a company to sponsor an employee, they have trust that employee’s skills and professionalism. Some companies may be hesitant to get involved in the process without already knowing that person, and there’s only so much you can tell about a future employee in a few interviews. This is where networking can really push your career forward. Networking helps you make meaningful connections in a low-pressure setting. If you join a networking group that has numerous events, you’ll have multiple opportunities for getting to know key people who can help you get the job you’re aiming for. Networking is also beneficial if you aren’t in the job market, because it provides you with learning opportunities. 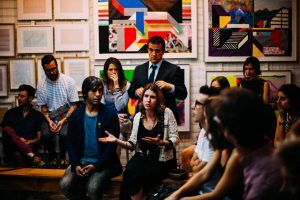 At networking events, you may have the chance to listen to presentations by thought leaders in your industry, or to create relationships with other attendees who can provide you with invaluable knowledge or resources. If you’re looking to meet professionals from all different industries, Oklahoma City can fulfill that need—many trade associations and industry organizations offer opportunities for networking. Eventbrite offers a listing of business networking events and Meetup has many options for professional networking groups. Another great choice is the Oklahoma City Young Professionals group or a local BNI (Business Network International) chapter. If you’re thinking of networking and meeting other professionals on a larger scale, Oklahoma City hosts many regional and national conferences and tradeshows. 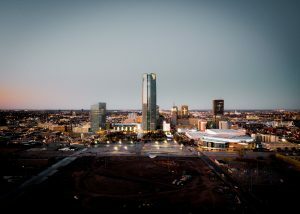 Check Cox Convention Center’s calendar of events to see what business opportunities are coming to Oklahoma City. To get the most out of a networking event, you should come prepared with the right attitude and goals in mind. Here are six objectives that will help you stay focused during the event but also make it enjoyable and productive. Most importantly, always set the goal of developing a mutually beneficial relationship with everyone you meet at the event. Don’t look at the event just as a way to promote yourself or your business. The best outcome is one that benefits both you and everyone you meet. Find out who is attending the meeting and who is involved in the organization. Meetup and other meeting registration tools do a great job of showing you who is signed up to participate in the meeting. If you see people you’re hoping to meet, find their profiles on LinkedIn or social media to see if you can find some common interests. Research the event itself so you know what to expect. Ask your friends or colleagues if they have attended the event in the past and if they can provide any feedback. 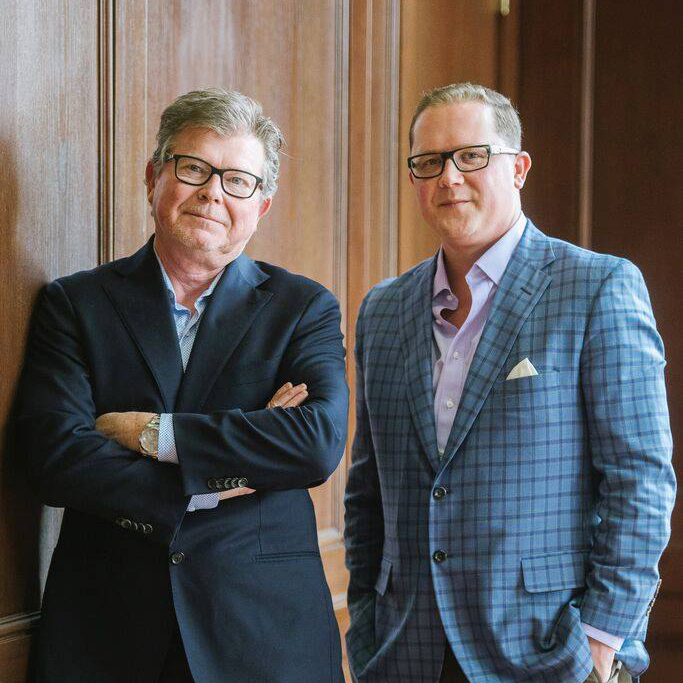 You’ll want to know if the event gives ample time to connect with other attendees. If there’s a speaker or presentation, should you arrive early to network beforehand? Is it a relaxed event, or a more professional atmosphere? Keep in mind that networking events aren’t business meetings or interviews. Everyone who attends the events has their own goals in mind, but it’s not intended to be a high-pressure and stressful atmosphere. Your body language can be helpful in making yourself look approachable and relaxed. Smile, make eye contact, and keep your arms and legs uncrossed. When you meet someone for the first time, offer a handshake and introduce yourself. Listen for their name and try to repeat it in your conversation. This shows that you were listening, interested in the discussion, and are sincere. If you are nervous about how to make the first introduction, listen and watch those around you. Pay attention to how others introduce themselves to you, what questions they ask, and how they subtly let you know about their goals for the networking event. Sometimes the easiest way to have a conversation with someone you are meeting for the first time is to ask questions about them. By asking thoughtful questions about who they are and what they do, you can help the conversation flow smoothly and learn more about how you can help them and vice versa. It may be tempting to look around the room at the other attendees while you are in a conversation, but try not to, because you could be perceived as rude and uninterested. Even if you feel that the person you’re talking isn’t a beneficial connection for you right now, they may be in the future. Make a good first impression and give your undivided attention to the person you’re talking to. Building rapport is very important in networking. Don’t aim to hand out your business card to as many people as possible without making a meaningful connection. It’s the conversation you have with each person that will make you memorable, not your business card. Although your goal shouldn’t be to hand out business cards without making connections, it’s still important to bring them along. In fact, bring more cards than you think you’ll need. You don’t want to meet someone you connect with but then realize you’ve run out of business cards to give them. Always come prepared with questions. This is where your research on the attendees can help. Ask questions that will keep your new connection talking, like the projects they’re working on right now or what they enjoy most about what they do or where they work. Alternatively, if you both work in the same field, ask about their thoughts on new developments or new software in your industry. Avoid being too forward in your questions (“Are you hiring?”) or being too aggressive (“Why aren’t you using my company?”). Also know how to respond to common questions, such as “What do you do?” Responding in a clear and concise manner will hold the interest of the person you’re talking to, and give them opportunities to keep the conversation going. Another great tool for networking events is breath mints. It may sound silly, but you want to keep the conversation focused and avoid unnecessary distractions. Don’t be remembered for your bad breath, but for the value you can provide. Even if you met all your goals, it means nothing without a good follow-through plan. Keep the conversations going outside of the event. Connect with people you met by adding them on LinkedIn or sending an email thanking them for the great discussion. Take it a step further and ask them for coffee where you can further discuss a topic that was brought up in your conversation. Consistency is also crucial in a follow-through plan. Don’t aim to attend one networking event. Become a regular attendee to help you build rapport with the other attendees. It’s hard to build a relationship from one meeting—it often takes time and patience. People who attend networking events all have different goals in mind, whether it’s to promote their business, find a mentor, or to learn more about their industry. The experience can be intimidating if you are introverted or you haven’t been able to connect with the right people in the past. You aren’t limited to attending groups and meetups in person. Facebook and LinkedIn groups, as well as other local online communities like Slack, a messaging app, are also excellent resources for finding professional connections who can help you with your career. Here is a list of 1000 Slack communities—and there are so many more not even listed. And what’s great about Facebook, LinkedIn, and Slack is that it’s so easy to start your own group if you don’t find something that meets your needs. You can also create your own networking events if you value the in-person connection but just aren’t finding groups to meet your needs. A lunch meeting is a great way to create an informal setting and bring people together who have similar networking goals. Conversation flows smoothly when you share a meal and bring people together. Aim to keep the number of attendees small to give everyone the chance to introduce themselves and share something of value. Another great idea is hosting a wine-tasting event or an art gallery visit. This keeps people moving and not seated in one place for the entire meeting. It’s perfect for mingling and keeping things relaxed. Spread the word about your event on social media and create a group on Meetup. A successful networking event, whether it’s one you’ve started or one you’ve joined, should leave you feeling inspired and motivated. Growing your circle of industry influencers, mentors, and like-minded professionals can add to your success in the United States. 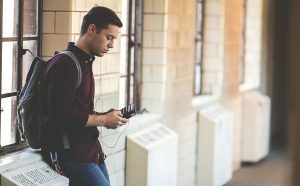 Landing a job in the United States as an immigrant has its own sets of challenges, but networking can help you make real connections with the right people to assist you in your job search. Networking shouldn’t stop once you land your job. Getting involved in industry associations and professional groups allows you to continuously develop new ideas, creative thinking, and business connections that are beneficial to you and your company’s overall success. If you set clear goals, networking can help you continue to showcase your value to your sponsoring company for many years to come.